Research Ports In Advance: Read as much as you possibly can before your cruise, otherwise you might end up in a port, overwhelmed and without the slightest idea of what to do. With limited time in port, it pays to be knowledgeable ahead of time. Even if you’ve booked an excursion, you might find yourself with several hours to kill. Don’t Tip Double on Alcohol: You’re already automatically paying gratuities when you buy a drink at the bar, so there is no need to tip them any additional money. Most big ship lines add a 15 percent service charge on to bar bills. Work Off the All-You-Can-Eat-Buffet: How do you balance the intake of food? Take the stairs instead of the elevators. If exercise is your thing, hit the ship’s gym or sign up for a cycling or Boot Camp class to more quickly burn off those extra-large buffet meals. Be A Smart Packer: You may be going on a nice, sunny Caribbean cruise. But always pack a lightweight waterproof jacket or poncho. Avoid The Buffet on Embarkation Day: Bypass the buffet or pool grill, where the masses gather, and head to a dining room for some peace. One note: Not every line opens its dining rooms for lunch on embarkation day. 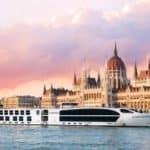 Design a Ship Tour for Embarkation Day: Create your own ship tour, gathering information on the whereabouts of lounges and alternative restaurants from cruise ship deck plans, message boards and ship reviews. So, when others are wondering aimlessly on their first day aboard, you can tour the ship like a pro! Don’t Worry With Cash, Everything is Paid Thru Your Room Key: When you go through check-in, you’ll receive the key to your room. This “key” is actually like a credit card that you’ll slide into your cabin door to unlock it. But it actually does a lot more. It’s linked to your shipboard account, and you’ll use your room key just like a credit card to charge items to your account. This is so much more convenient than having to carry around cash. Just be sure to keep a close hold on your card! Interior Cabins are Great For First Time Cruisers: Wondering if you should get an interior cabin or a balcony room? Don’t sweat it. Balconies are great, but there is an advantage to an interior cabin. As a first-time cruiser, it’s doubtful you’ll be spending much time in your room anyway. Having an interior cabin is a cheaper way to get on your first sailing without breaking the bank. Balcony Rooms Are Worth It: If you do decide to spring for a balcony room, it’s worth it. This is especially the case if you’re the sort of person who likes to take your time getting ready in the morning while sipping on a cup of coffee. Having the fresh air — and the view — from your balcony is worth the extra cost if you want to pay a little more for your trip. People That Show Up The Latest Board The Quickest: When it comes to boarding the ship on cruise day, everyone is excited. In fact, you’ll find that many people get to the port before boarding has even begun. The result is a huge rush of people at the start of check-in. It can take an hour or more to get through security and check-in. Instead, wait until about an hour before the boarding window closes. By this time most people are on the ship and check-in takes just a few minutes. Don’t Waste Your Time in Line With Early Debarkation: Everyone can’t wait to get on the ship, but then they can’t wait to get off the boat when it returns home. Cruise lines offer early debarkation for passengers who can carry all of their luggage. In our experience, the majority of passengers opt for this route. The result is a long wait to get off the ship. Instead, enjoy breakfast on the ship and depart in your cabin’s normal debarkation time. It’s a much better experience than standing in line at the crack of dawn. Don’t Worry About Changing Money In Port: It’s likely you’ll visit several countries — with several different currencies — with just a few days. The good news is you don’t have to think about converting currencies at each port. The ports you visit thrive on tourism and make things easy for tourists. They will all gladly accept U.S. dollars, and often take credit cards. Just bring some smaller bills for your port days and you’ll be all set. Like Last Night’s Dinner? Order It Again! : Most people don’t realize it, but the cruise lines will often bend over backwards to make you happy. Case in point: You can order items from the dining room, even if they aren’t listed on the menu for that night. If you just loved the Chicken Parmesan from a few nights ago, ask for it again. Chances are high that they will whip up a serving for you, no questions asked. Room Service is Free: On a cruise, room service is a free perk. You can order breakfast for the next morning by hanging a completed menu on your cabin door, or order a burger for lunch when you don’t feel like going to the buffet. Best of all, it’s typically free (though you’ll still want to tip the server a few bucks). Some cruise lines are charging for certain items on the menu, but they will be clearly marked. It’s also often to see a charge if you order very late at night. Yes, You Can Bring Some Alcohol On Board: Cruise lines know that people want to let loose and have a drink (or ten!) on the cruise. That’s why they charge high prices for their booze. Still, most cruise lines allow you to bring aboard some alcohol when you embark at the start of your trip. It’s very restrictive in that it’s typically only a bottle or two of champagne. Still, we recommend taking advantage as it’s much cheaper than buying drinks once on the ship. Great article and SO timely. 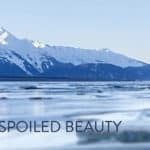 My wife and I have been dreaming of taking a cruise to Alaska or Patagonia (that’s available too, I guess?). We both work in Cancun in the hospitality industry. Some of the vacation clubs here offer the same lodging dynamics as cruise ships (inclusive tipping, room card as a payment card, different dining options, etc.) What we had been wondering about was which cabin to choose when we eventually book. And your advice on cabin selection just cleared things up for us. Also, all the embarkation and disembarkation advice is immensely helpful. Thanks for sharing your experience with us all. Have a great weekend!! 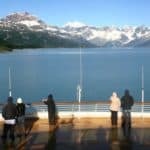 Glad you enjoyed and found my cruise information helpful 🙂 You will love an Alaska Cruise. If you have any further questions, please don’t hesitate to ask. My girlfriend has been begging me to go on a cruise for years. I think we are going to go in September or possibly October. In the beginning stages of planning right now. Do you have any recommendations on where we might want to take a cruise from? I haven’t even thought about where yet. I would definitely recommend a port close to home for your first cruise. I am not sure where you are at, but Florida for instance, has several ports. Texas, and some east coast ports are also great. If you want a Caribbean cruise, which I recommend for a first cruise, then head out of Florida. 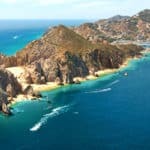 If you want a cruise that includes ports in Mexico, then head out of California or Texas. Just depends on where you want to go. You can head to the Mediterranean out of an east coast port as well. Please let me know if you have any other questions. These are all awesome tips! I’ve never been on a cruise, so these are all things I will definitely need to know. Just curious if you’ve ever had any issues with motion sickness while on a cruise? Do you have any tips or tricks in case that happens? Thanks for reading Christina and I am glad you enjoyed. My son has motion sickness, and it was just a matter of packing Dramamine. There is also a cruise medic in case you need further attention, or something different. Great tips. I’m not a newbie when it comes to cruises, but I’ve met my share of them. You can always tell. I really appreciated your advice on cash. I’ve never been one to carry much cash, as it is. It’s an old Navy habit. I’ve never had problems finding an ATM or another means of withdrawing cash. Plus, a credit card does come in handy. Thanks for the post. I agree Chris, all you need is your credit card and your room key. I never found that I needed cash for anything on a cruise, or even in the ports. Thanks for stopping by! Thank you for all this information for first time cruise advice. I have yet to experience a cruise but is something that is on my checklist to do. I see some amazing tips and money saving tricks here. I did not know you were paying gratuities on alcohol – bit cheeky hehe. Great idea as well to show up one hour before boarding time closes as I have stood in line for similar periods of time to board ships – its no fun when you are very tired. I am afraid, though not on a cruise, when I do board a boat I tend to walk around lost for a while. Doing little research before hand will definitely lead to swifter knowing of where you are going once you board. Thanks Leahrae for all these tips. I won’t forget them should I ever take a cruise. Great Philip, I am glad you enjoyed reading and learning about first time cruise advice. Happy cruising! 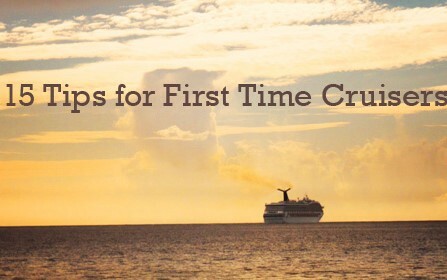 Great tips for the first time cruiser. 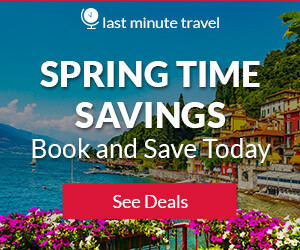 Even an experienced traveler would benefit. Most people are unprepared information wise on a cruise. It’s best to plan one’s excursion before arrival. Very informative webpage. Thanks Mick, and I totally agree. Learning everything you need before you cruise, makes smoother sailing and enjoyable. Thanks for reading First Time Cruise Advice. My wife and I have been thinking about taking a cruise for several years, but we have never done it. This post answered a lot of my questions, so now I really need to re-think the process. Staying in an interior room sounds like the way to go, no need to spend the money if we are out exploring most of the time anyway. Great tips on tipping 🙂 I didn’t realize tips are included on bar tabs, that’s another money saver. When I think of a cruise, I think of all the extra $$ that we would need to spend, but you have set the record straight on a lot of that. Awesome post, I love how you laid everything out so concisely. Thanks for all this fantastic information! Great Steve, I am glad I could help and I am sure you will have a wonderful time on your cruise. If you need any help at all booking your cruise, please don’t hesitate to contact me. Thanks for reading my first time cruise advice. I’ve never been on a cruise, but would love to. You gave some great tips! Do you have any recommendations for cruises for people with kids? I have a 5 year old. Would love to take him on a cruise! Just hope we can afford it some day! You can afford it. Think about what you spend on a hotel when you take a family vacation. Then you have to pay for food, entertainment, and everything else. A cruise may cost you $50 a night, but it includes everything. In the long run, cruises are definitely cheaper. The top cruise lines for kids are Royal Caribbean, Carnival, Norwegian, Disney, and Princess. Thanks for your great questions and stopping by. Great tips. Cruises sound so fabulous. I’m sure I would have a great time. Do you have any recommendations for cruises with kids? I have a 5 year old. I just hope to be able to afford it one day! There are several cruise lines that cater to kids. Here are the best cruises to take with kids in order: Royal Caribbean, Norwegian, Carnival, Disney, and Princess. Of course Disney and Princess have some pretty spendy cruise itineraries, so be prepared to pay a little more with them. Thanks for reading! I have never been to a cruise yet but I am planning to go hopefully by the end of the year so these tips will definitely help me. I am wondering about the prices: when during the year is it more convenient to go on a cruise? When kids are in school, think of that as being the best time. Any times kids are on break from school such as summer, Christmas vacation, etc, prices go up. Please let me know if you have any other questions 🙂 Thanks for stopping by and grabbing your first time cruise advice. You mention that bringing champagne with you is a good idea, but what all isn’t typically allowed on the cruise? Is there somewhere you can find out which cruise lines will search and confiscate certain items? And how do they check if you have them, especially when you are going from port to port during the trip? Otherwise, this is pretty good advice for the first time on a cruise. Your bags are screened at security before boarding the boat. Each cruise line (it can vary somewhat) has a list of what you cannot bring on, such as drugs and weapons. You you bring back on port from shopping or whatever is really on you, if you get caught bringing something back on board you shouldn’t, and you are caught, you could get kicked off the cruise. Typically one bottle of wine or champagne is allowed when boarding your cruise, but don’t buy a bunch of alcohol at a port. It could get confiscated. Great question Eric! Great information and great tips for the first-time cruisers! This is going to be quite helpful to a lot of people! I didn’t realize that your room key is actually equivalent to a credit card that will will provide a great deal of convenience during the cruise. In addition, your tips regarding rooms (Interior,Balcony) as well as food and alcohol will be beneficial to the first-timers. Are the Balcony rooms quite a bit more expensive? That would be my choice! 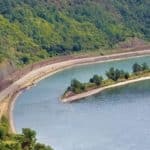 Your article has definitely provided some insightful information and should alleviate some of the questions and stress associated with the first-time cruisers. Thank you for sharing! I don’t think a balcony room is that much more expensive, and to me, worth it! It is going to be 200-300 more per person for a balcony. I don’t spend a lot of time in my room, but I still like to be able to see the water, feel the ocean breeze. All part of the experience! Thanks for visiting Luke. Wow, this was a very helpful article and video. There were many things that I learned that I could use not only for cruise travel, but just travel in general. I really liked your video. Seeing the items you are talking about and ideas of what you use will help me be more organized the next time I am traveling. Thanks for all the great tips. 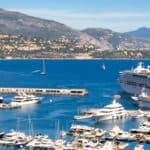 I’ve been on a few cruises as well and find all of your tips to be really useful great points for the first time cruiser! I also remember the first cruise I went on I didn’t know that drinks were not included in the price so I was a bit surprised to get a bill for drinks I bought when I was at the shows, etc. Another great thing I would suggest is if you have kids, check out the kid programs! They really offer some great stuff on cruise lines now for the younger cruisers. Yes Lynne, I did the same thing the first time. And the specialty drinks, like the ones you get when you first board the cruise, are expensive. I was in the same boat, but I chalked it up to experience. You are right, now a days, there are so many kids programs. You can literally take your kids on a cruise, send them off to do their thing, however old they are, and not worry. They are in good hands! Thanks for stopping by beach travel destinations!